While we do not work in the lab or the operating room, we consider ourselves front line warriors in the fight against women’s cancers. While continuing our work on No Evidence of Disease, What Every Woman Should Know, and the Globe-athon, we have now partnered with the Women’s Health Integrated Research Center (WHIRC) and Inova Fairfax to create the Ovarian Cancer Registry. Tthe Registry creates a community where patients and survivors can proactively take part in the fight against ovarian cancer by sharing vital information that will enable researchers to better design clinical trials in the future. Currently in beta testing, the Registry will continue to expand its functionality and the scope of its research, always taking advantage of the latest in cutting edge scientific advancements to keep us on the road for better cancer treatment and care, and hopefully someday even a cure. 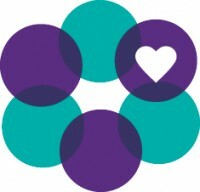 The Ovarian Cancer Registry has launched and is currently in Beta testing with Inova Fairfax.